ownCloud Server 8 introduces some changes to the release model of ownCloud, including a smaller installation package and a faster release cycle. 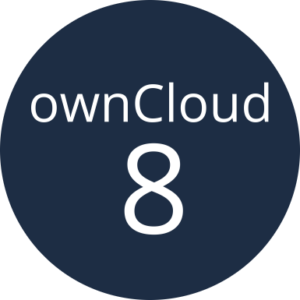 ownCloud, Inc. has announced a support option for ownCloud Server 8 that brings more choice to professional ownCloud users and aligns professional and private use of ownCloud more closely. 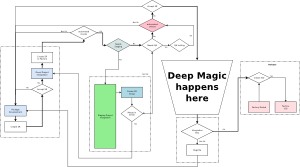 In this post, we examine the impact of these changes for both developers and users. When ownCloud maintainer Frank Karlitschek published ownCloud 8 Alpha 1 he described changes to ownCloud releases and packaging coming in ownCloud 8.0. The announcement of the subscription options today from ownCloud, Inc. ties in with these improvements. Here is what changed and how it will impact you. With ownCloud Server 8, the size of the base installation package has been decreased, shipping most apps which used to be part of the installation separately. The tarball now only contains the base of file sync and share, as well as the Gallery app, while apps such as Contacts, Calendar, Bookmarks and Documents have moved to the built in App store. This does not mean they are any less important! As before, you can still enable these applications with a single click in the Apps page on their ownCloud server, which will trigger an automatic download and install in the background. They are just no longer shipped as part of the tarball or Linux distribution packages of ownCloud. This decreases the minimum footprint of ownCloud and makes it possible for developers to update apps independent from the ownCloud Server releases, getting features and fixes to users with less delay. ownCloud development has moved to a more agile, time based, three month release schedule. 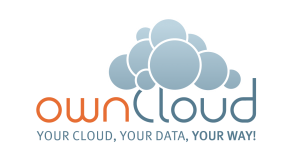 You can find an overview of the planned releases on the ownCloud wiki. As faster releases would inflate the version numbering if we’d stick to the current numbering, ownCloud has moved to a dot release schedule where the first number of a version is x.y.z. The x version number will change once a year, y will change every quarter, and z will change when patch and security releases are necessary. This means that ownCloud 8.0.0 is the first release in 2015, with 8.0.1 being the first update release and 8.1 the second major release in 2015 followed by 8.2 and 8.3. In 2016 it will be time for ownCloud 9! With the faster release cycle, it makes less sense for app developers to use unstable internal functionality besides the official ownCloud API. Less usage of unofficial API’s will decrease the problem of apps requiring specific ownCloud Server releases as you often see with apps on apps.owncloud.com. Meanwhile, developers benefit from improvements to the process of developing and releasing apps. More details can be found in our earlier article about changes for developers in ownCloud 8. A faster release cycle decreases the disruption causes by updates and allows us to bring improvements and features to users faster, improves the app experience and brings user feedback closer to developers. There is a third change which ties in-to the smaller packaging and faster release cycle. ownCloud, Inc. has announced the Standard Subscription, a new support option for professional ownCloud Server 8 deployments. The Standard Subscription offers system administrators who need file sync and share as provided by ownCloud Server the confidence of knowing that their ownCloud deployment is backed by technical expertise with 8×5 mail support. The Enterprise Subscription offers up to 24×7 global support, deployment help and branding tools as well as additional Enterprise apps for integration in corporate infrastructure like Sharepoint, SAML and Windows Network Drives and catering to specific needs around compliance in regulated industries. Together with the Standard and Enterprise Subscription introductions, ownCloud, Inc. has merged the Enterprise Documentation into the public ownCloud Server documentation and provides more resources on the owncloud.com website for professional deployments. This makes life a lot easier for system administrators deploying ownCloud in a setting with a large number of users, or high availability requirements, or deep enterprise infrastructure integration requirements. With a support offering for the basic ownCloud Server functionality and improved free resources for professional deployments available, more businesses will be able to offer an enjoyable ownCloud experience to their users. The changes that came with ownCloud 8 will bring benefits to ownCloud users both at home as well as in the enterprise and make it easier and more fun for developers to improve and build upon ownCloud. Time to Upgrade to ownCloud 9.0!